I've sold my handspun and given it away to people, but I've never spun yarn specifically for someone else. It was the most relaxed spinning I've done in a long time. Part of it was my friend, Carol, had no expectations beyond a wonderfully sheepy yarn, close to worsted that she could knit into a hat. No deadline. She had some Coopworth sliver that the wonderful people at DM Fibers, dropped off at her shop in case she wants to add spinning fiber to her mix. Carol and her husband Pete own Spun, my LYS in Ann Arbor. 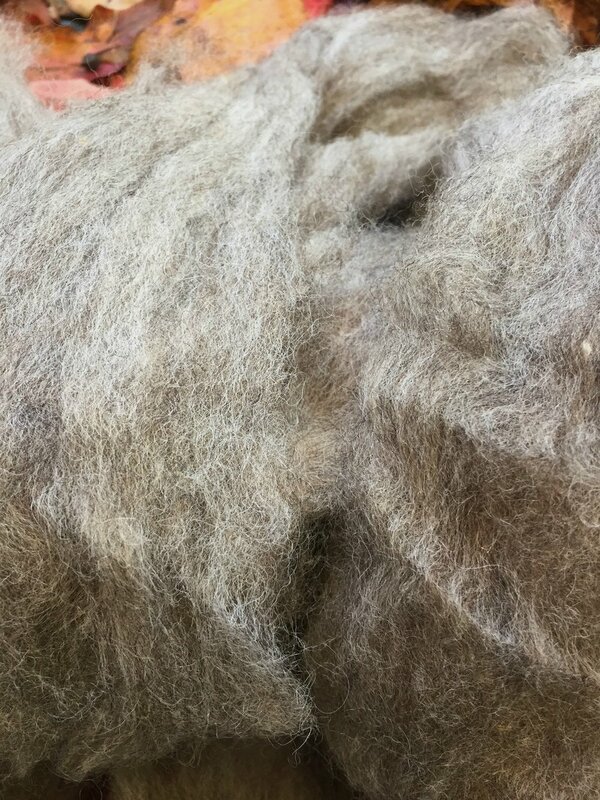 And no, don't get excited, there is no room for spinning fiber at Spun. The other component that made it so easy was the fiber. DMFibers has recently purchased the spinning fiber business from Louet, wholesaling it to shops. All the wonderfully, mostly British sourced fiber, now is in the capable hands of Sasha and David. The Coopworth that David and Sasha dropped off was dreamy, just look at it! It smells sheepy and it is the least scratchy Coopworth I've spun. I couldn't wear it next to my neck or as a sweater without a shirt under it, but mittens, hats, shawls, and crazy fabulous outer sweaters, like a gansey would do just fine. Sliver is a woolen prep and Carol picked the woolen drafted sample from the two I showed her. Puff, it is. With almost no expectations and no deadline, of course this yarn shot to the top of my spinning list. I had a new mystery series (The Five on Netflix - thank you, Kate) and a woolen draft on a woolen prep. I set up my Hansen e-spinner and spun. It was 100% blissed-out spinning, so relaxing and I made some pretty yarn, that I'm giving to Carol today. She won't even care that it turned out more chunky than worsted. I may jut spin for other people more often! Do you spin for your friends?